Each week, while you do what you do best, we are on the mission to develop the perfect workspace for you. We constantly develop, test and evaluate new features for MATCHA 3. We also play our favourite game ... Squash'a'Bug... a lot lately. Thanks to you, we can find and squash a lot of them very quickly. Please, keep posting those bug reports. 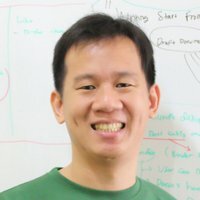 Your feedback on MATCHA 3 is awesome. We try to implement all those great features you request as fast as possible. But... we value quality more than quantity, so over the course of last week we focussed our efforts on the requests sent to us by our current Matcha v2.0 users. and some other nifty new features. We are launching our new blog today. Our way of showing you what is inside our pipeline and what has been already accomplished. This post is constantly updated. If you have any questions about MATCHA 3 please do not hesitate to get in touch. What is MATCHA 3 (Smoothie)? 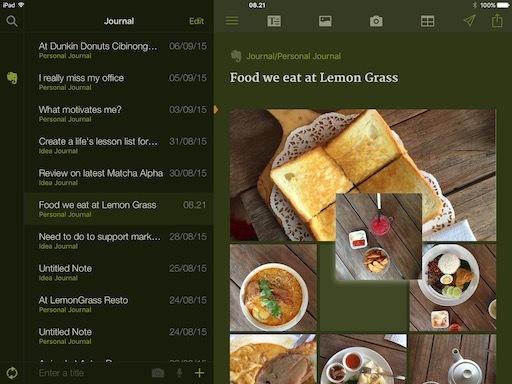 lets you publish your notes to your Wordpress and Tumblr blogs. 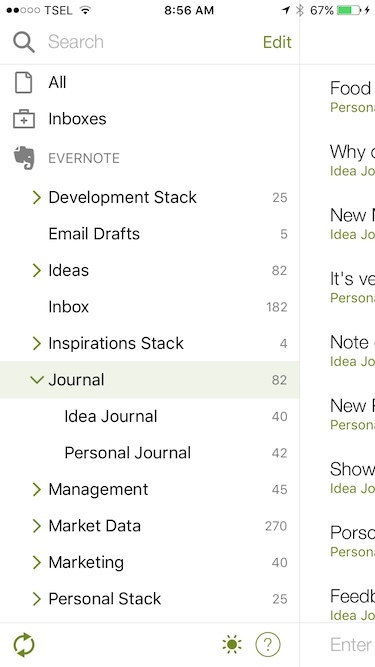 Sync all your Evernote stacks, notebooks and notes. 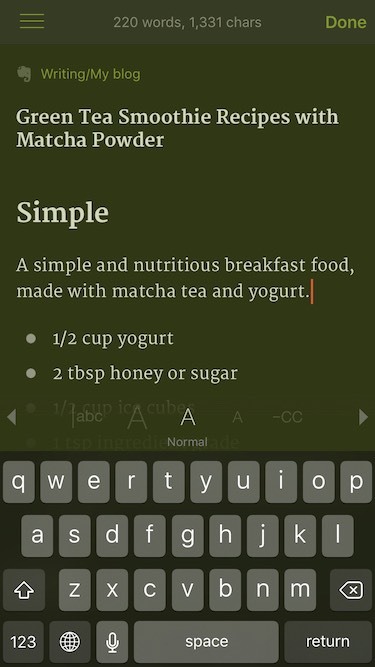 You can choose stacks and notebooks you want to show in Matcha. Responsive editor based on Markdown. Create heading, list, paragraph, quote and caption. Create beautiful collage of your photos. Drag and drop text and photo around your document. Light and dark color theme. Customizable colors and typography (Planned). 3 layouts to work on your iPad: Home + documents pane, documents pane + editor and full screen editor. 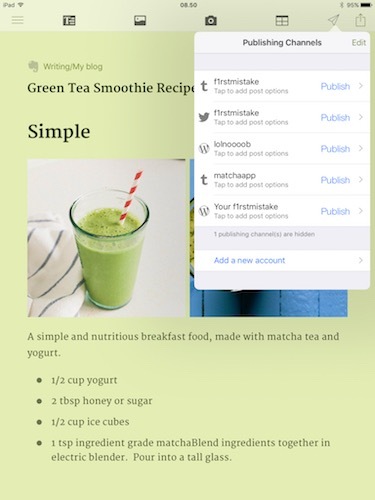 One touch publishing to Wordpress, Tumblr and Twitter (Experimental). 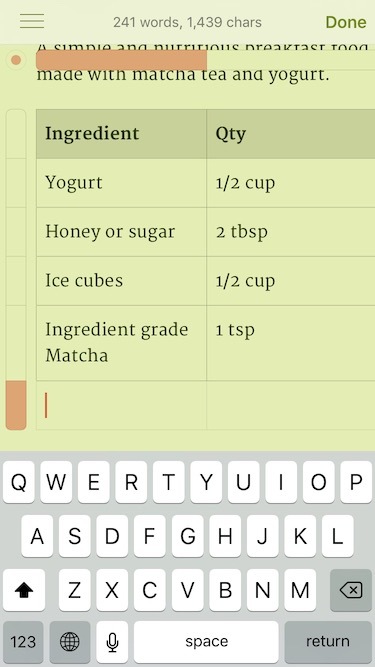 Add Dropbox account to sync Matcha with your Dropbox files. Enable iCloud to create and store your documents in iCloud. Manage your tasks in Wunderlist (Experimental). Sign up for the public beta, today! MATCHA 3 Smoothie is build by InterAre in Jakarta. 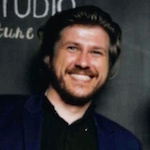 Enrico Nahler is our Community Manager and will answer all of your questions and feedback. Let us know what you think and if you have any comments or suggestions, post below! We are looking forward to welcoming you as beta testers to MATCHA 3. Could you add some screenshots to let us know what it looks like? Oh.. Okay .. 8th .. Two days to go..
Panzerkampfwagen, did you sign up via the link provided in the text above? I am able to subscribe via Mailchimp link, but I am not getting any public link to install the beta.. Pls tell me hw? Please check your email again. You should have received the link by now. Ya Thanks. I have received the email and I have installed the App. 1. Is the App trying to sync all Evernote Notes and Data locally? Since I have authentcated the App to my Evernote account, and for half an hour, the wheel is spinning,. I see nothing here on the device through. Two, If that is the implementation, I seriously envision a flaw. I have close to 10,000 Notes and my Database is close to 11 or 12 GB. It is impossible to have such a huge load locally on the IOS device. My understanding is that the App should only take a Thumbnail of the Notebooks and Tags, and allow users to cache what Notebooks they need. Please clarify how the integration has been implemented..
1. 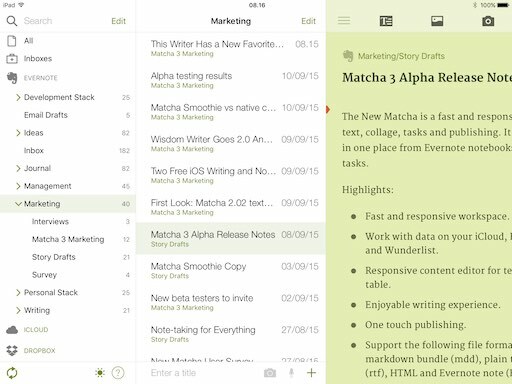 I think All The Notebooks and Tags ( essentially the User's Organization structure) should be cached in the MATCHA APP, and not all the Notes. I don't think this should take much of space. So, now, when a user creates a new Note in MATCHA, he should have the ability to push it into a specific EN Notebook and add Tags. This should come back as a Editable note ( Not an Image) in the Evernote back end. This i Think should be a great way, in my opinion. OK.. Now the Apps started to work.. It downloads Notes ( Templates) in the General Stack [ Default Notebook] by default, and The app does display the Notebooks, which is good. But, I see no signs of tags Indexing..
Also, request the App Members to tell us how we can directly send feedback, I don't think it is needed here, as the app is still in beta.. Some early teething troubles, but which can be sorted out, I feel..
We don't cache all the notes, only the index of note, notebook and tags. First sync will be slow for large accounts, but it should improve a lot since we are working on optimizing first sync. You can read all about how sync is handled here. To send direct feedback just tap on the question mark next to the sun icon in the accounts panel, select "Give Feedback". I will then add you to our Slack Focus Group and give you access to the Wunderlist we share with users, so you can add bugs, feature requests and suggestions directly to our backlog. unable to see the Tags.. Please help. 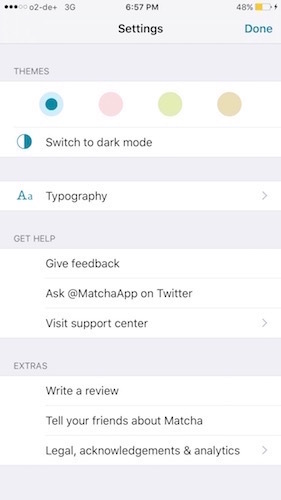 as per previous comment, I have opened Matcha3 but to date have not been able to use it because it takes too long to sync with EN. I rarely have the time to leave my iPad for the length of time it must take to sync, let alone my iPhone. I have over 4300 notes. Unless someone has any ideas I'll have to leave this interesting app until you've got a little further with it as I can't test it personally. @purdisc: Thank you for your request. Did you send a report from inside the app? I'd need to know which version devices you use. We are constantly working on enhancing the speed of the initial sync. I myself am having 13000+ notes in my EN account. Syncing my notes took approx. 10 minutes on iPhone 6S Plus. Please send a Report using the circled ? Icon. Please let us know what devices you use and we will find out what goes wrong.